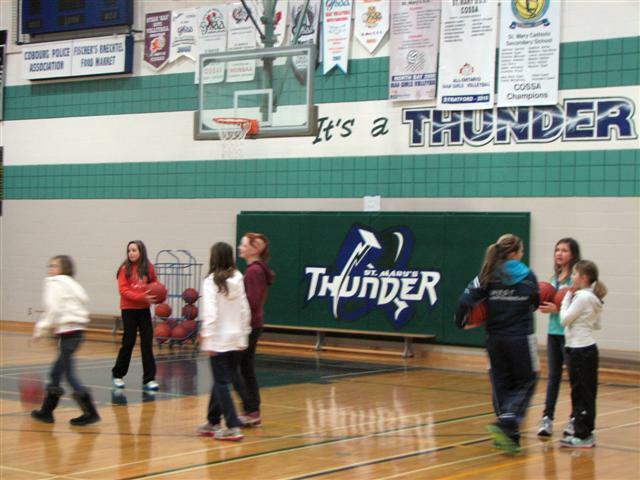 The Knights of Columbus from Port Hope and Cobourg Councils would like to announce the winners of the Knights of Columbus Basketball Free Throw Competition! 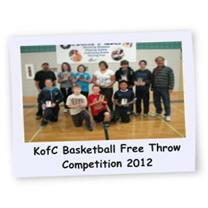 KofC Basketball Free Throw Competition! BR: Frank Rodrigues Port Hope Youth Director, Makayla Nowee, Ava Bogyay, Bailey Murphy, Dawson Murphy, Michael Pascoli, Bart Heyboer Cobourg Youth Director.